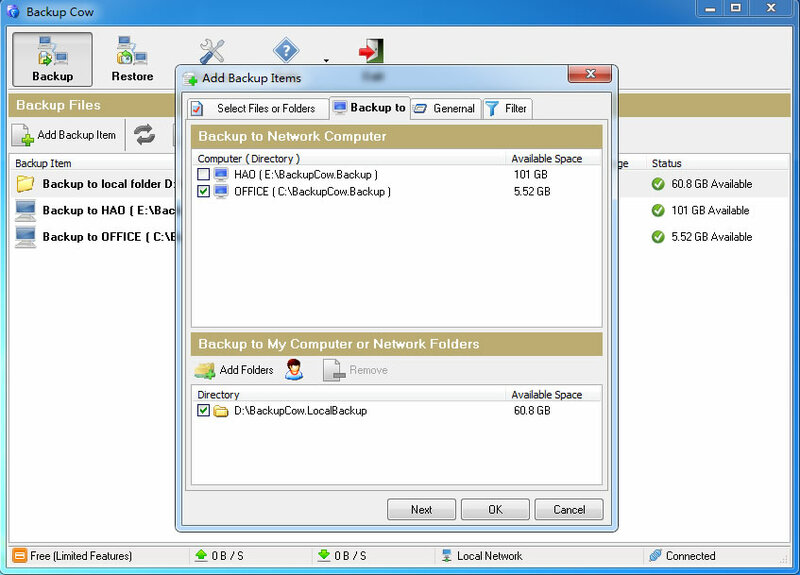 Are you wondering how to backup and synchronize to another PC easily and conveniently?Backup Cow can be your best choice.Why?There are various of functions of Backup Cow,such as sharing files and folders via LAN,synchronize data with confidential and build a private cloud storage.More and more people are willing to use this software because it is really useful and dependable.Now let me talk about the characteristics about Backup Cow. First of all ,there are two parts of Backup Cow,it includes P2P Suite and Private Cloud Suite. With Backup Cow,you can backup files to anther PC(Win7/Win8)or other PCs.Also ,you can backup files between multiple computers.Moreover,it lets you synchronize files and folders in any desired time interval .In addition,you can backup and synchronize files and folders safely.How?Since there is an outstanding function that you can pre-set a password before you backup or share files.Other computers without password can not access your data and files. Backup Cow can not only restore backups from any other PCs,but also search and download all backup files .Plus,you can view the detail information after backup,such as the locations,owners,date,size,etc. 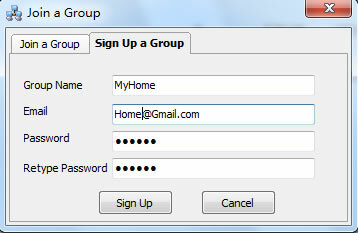 There is an excellent feature about Backup Cow----Jion a group.Before you backup ,you can create a new group.Just input your group name and password,you can share files and folders between the PC who have jioned the group.In additon,you can jion your friends' group by inputting group name and password.With this function,you can feel free to backup and share files to multiple computers because it is absolutely safe. 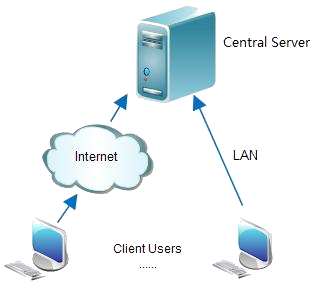 As the development of technology and science,IT technology becomes more and more advanced.However,sometimes unexpectable virus and hackers may destory your computer and network.Seeing that,it is necessary for us to build private cloud storage.Backup Cow,which is easy and dependable to meet your needs.Why ? 1.You can pivate cloud storage in office,at home and your community. 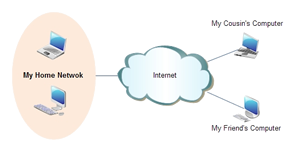 Some other cloud storage may restrict the space of backup while Backup Cow can offer unlimited space.It only depend on how much hard disk space of all computers in a LAN set in a cloud storage.Therefore,Backup Cow is superior of other cloud storage. Backup Cow lets you decide which network you want to connect and backup to with confidential feature.Once you backup files to other computers,your files are continuously backed up to secure ,personal cloud storage. With Backup Cow ,you can view backup status,adjust backup speed,and pause,stop and resume the backup . Are you interested in Backup Cow?Do you want to build private cloud storage?Do you want to backup data for free? Try Backup Cow now! Very easy to install (on Windows 7 OS). Runs in the background, unintrusive to the OS environment. Wizards are intuitive and simple. Jobs are very clean and restores are effortless. A very easy, functional application that backup files!